Donald Trump’s choice to lead the Centers for Disease Control could hardly be worse. 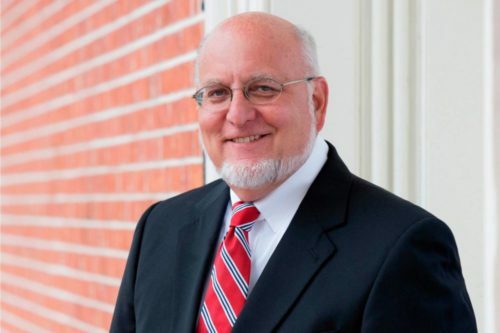 The new leader of the CDC is bad news in more ways than one, especially for LGBTQ people. Not only does Robert Redfield have no experience running a federal agency, but his background makes him one of the last people who should be running the agency. The Baltimore-based HIV researcher’s track record leaves some people worried about the discriminatory and religious overtones of the policies Redfield has championed during his career. During the 1980s, Redfield advocated for mandatory testing of military recruits and reporting the information to health authorities. In the early 1990s, Redfield faced charges of scientific misconduct for having misrepresented data about an experimental HIV vaccine he was involved with. Redfield was said to have claimed promising results from a small clinical trial of the vaccine, which was the focus of a lobbying campaign to sidestep peer review and increase its funding. He was cleared of the charges, but the data published had to be corrected. Former Air Force Lt. Col. Craig Hendrix of Johns Hopkins University School of Medicine, who reported Redfield’s misuse of data spoke out following his appointment to the CDC. “Either he was egregiously sloppy with data or it was fabricated,” said Hendrix, who questioned Redfield’s trustworthiness. In the 1990s, both ASAP and Redfield backed legislation to subject people with HIV to testing, loss of professional licenses, and quarantine. The bill died in Congress. During the 2000s, Redfield advocated for the “ABCs of AIDS” in Africa, which pressed to prevent HIV/AIDS through sexual abstinence, monogamy, and the use of condoms only as a last resort. While the program was in effect, HIV infection rose across the continent. It’s unlikely Redfield’s views have changed from what they’ve been for the last three decades, and that makes it highly likely that his appointment will be detrimental to the nation’s health.